Part of the KORE M-Street Collection, the Nunn Bush Melvin Street Cap Toe Oxford is a classic that has been updated both inside and out. Featuring a cool wedge style sole, it also has a Comfort Gel heel pad and a molded EVA footbed plus a slip-resistant sole with a rolling impact zone heel that makes for more comfortable walking. Our KORE technology is biomechanically designed for walking. As it propels you forward, the sole of the shoe is designed to support and cushion your every step. The dual density outsole is created from a slip-resistant, rubber tread pattern designed to add traction and durability. 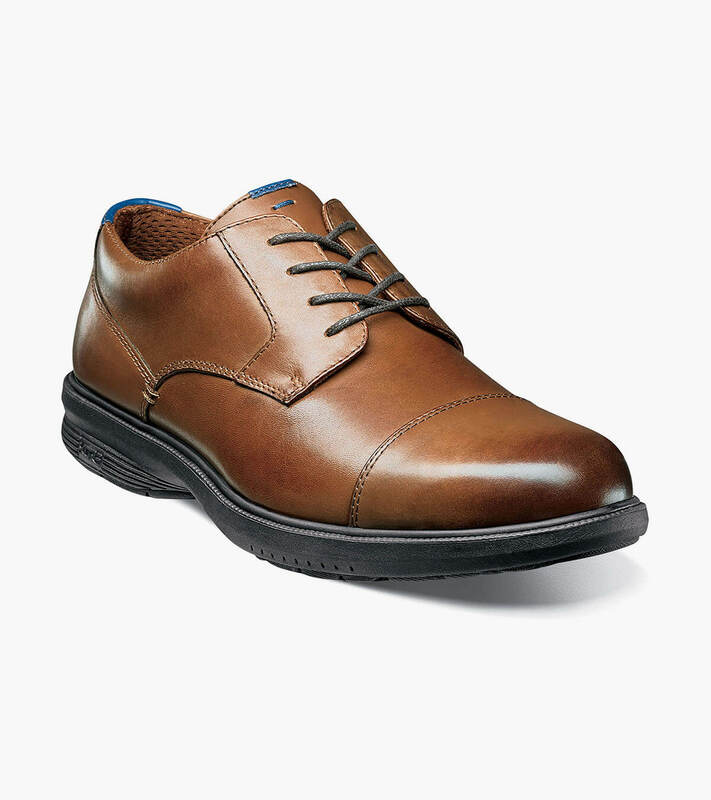 Combined with an aggressive rolling impact zone of the heel, these shoes are made for walking.